We’re gearing up for Search Marketing Expo (SMX) West 2015 with interviews of key speakers in our SMX West Speaker Series. So far, Google Webmaster Trends Analyst Gary Illyes illuminated Google’s upcoming efforts to deliver features and improve products for the benefit of website owners. And, Bruce Clay, Inc. Director of Training Mindy Weinstein shared an approach to keyword research that starts before tools and tricks. Today we welcome Bill Slawski, president of SEO by the Sea and director of search marketing at Go Fish Digital. First, a definition. The Google search engine results pages have seen a boom of answer boxes over the last year. These answer boxes, or direct answers, come in the form of a box at the top of a Google results page with information that seeks to satisfy a searcher’s query right from the page — no result click-through by the user necessary. Direct answers commonly show up for queries that seek step-by-step instructions (like “how to tie a tie” or “how to find your ring size”) and conversational queries posed as questions (like “why is the sky blue” or “what is the boiling point of Nitrogen”). You’ll see Google provide direct answers for movie times and sporting event broadcasts and scores, stats about celebrities, definitions of words, and increasingly more queries. For site owners and SEOs, there’s a question of whether Google’s direct answers are stealing their clicks and credit. The SEO industry is facing an evolution as marketers must extract opportunity from the new answer-box-filled SERP. 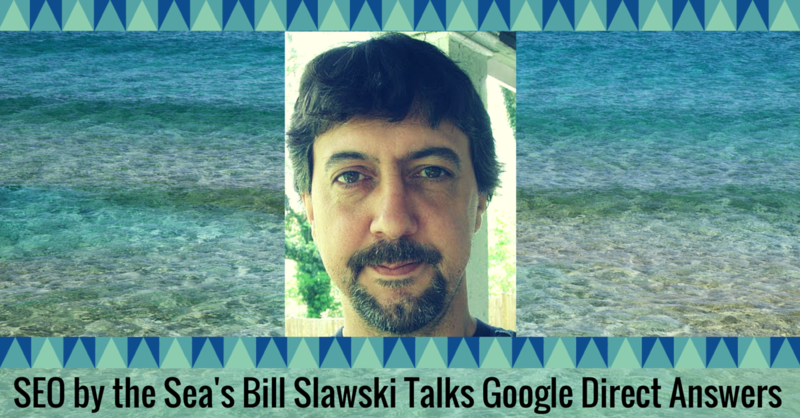 Bill Slawski is just the SEO to help guide us to the possibilities. There’s a lot more to it, so let’s get started. Kristi Kellogg: You have been an Internet Marketer since 1996, that’s pre-Google! If you had to do it all over again as a search marketer, what would you differently? Bill Slawski: I wish I had learned the value of using the patent office website as a source of information earlier than I had. And I’ve been focusing upon reading and blogging about only the latest granted patents and published patent applications. I hadn’t been drilling down through the different algorithms that people at Google have written patents about nationally and internationally, and doing very focused crawls through that information, including older patents, until this past summer, when my friend Barbara Starr started doing some investigating of patents with me. KK: Let’s talk about Google’s direct answers. How are direct answers changing the SEO landscape? BS: Google provides hybrid answers to natural language questions that not only provide a searcher something that looks like an actual answer to a natural language question, but also a list of query type results pages where searchers can go to look for more information. Given Sergey Brin’s 1999 patent on DIPRE (Dual Iterative Pattern Relation Expansion — quite possibly Google’s first patent, since PageRank was filed for and assigned to Stanford), it’s not a surprise that they would be interested in returning actual answers to questions to people instead of just ranking pages that might contain those answers. Given the growth of the usage of Schema.org markup and the way searchers appear to enjoy seeing rich snippets and answer box results in their search results, we should expect to see more [direct answers]. And if we are site owners, we should be thankful that our opportunities are growing when it comes to Schema.org becoming richer in how it displays schema markup with things like JSON-LD. It allows us to reinforce the information that we include on our pages in ways that can help Google become more confident with our answers. KK: What are the threats affiliated with direct answers? What are the opportunities? BS: I’m going to merge these two questions into one because I like to try to take any threats that might exist to be opportunities as well. Schema markup enables us to tell a search engine like Google or Bing or Yahoo a lot more about our web pages and the things and events upon them. It also potentially creates problems in that the explicit information that is on our pages and is written for people might mistakenly contradict the implicit information on our pages written for computers. That kind of inconsistency is potentially very harmful. Having those two types of information agree with each other can be a boon, if it is consistent. KK: Who needs to pay the most attention to direct answers? BS: A site owner who is interested in having his or her site show up for the goods and services that they provide on their pages should care a lot about the Semantic Web, and how schema appears for their pages. KK: Without giving away all your secrets, can you give some insights on what can be done? BS: I am pretty open about the kinds of things I am looking at and investigating on seobythesea, so if someone wants to get a taste of the kinds of things I am doing, that would be a good place for them to look. 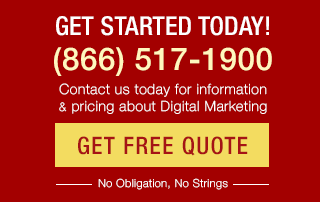 KK: What are the top three trends in SEO this year that website owners should care about the most? Understanding how their site could be tied by search engines to knowledge bases and entities using semantic markup. Getting a sense of how search engines are responding to different queries these days, with a number of rich snippet approaches and answer box results. That phrase-based indexing still likely has a large role in how Google might boost some sites based upon their content, and how related anchor text might be to terms that those pages are optimized for. KK: You’ve written more than 1,000 blog posts! What are some of the most memorable Internet marketing posts you’ve written? KK: What blogs do you find yourself visiting the most? 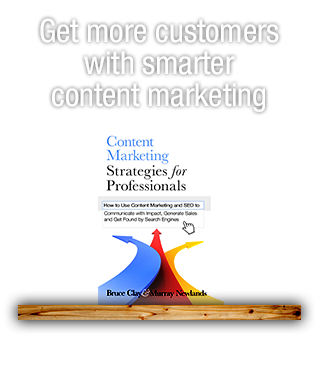 BS: I have a good number of blogs in my feed reader and I use Twitter to find a lot of things to read as well … There are a lot of good ones out there, including Bruce Clay, Inc’s blog. KK: Why, thank you. I’m glad you think so! When you are not reading blogs, writing or strategizing, what are you doing outside of work? BS: I like exploring the history of small towns and touring them and taking photos. Especially photos of things that might be unexpected, like a picture of a Gargoyle that I sent in with these answers, taken from a building in Culpeper, Virginia one chilly morning this fall. I haven’t investigated the history of the statue yet, but I will be. Carlsbad, California, where I am now, has a number of murals painted across many buildings, and I’ve made it my personal mission to find all of them and take pictures of them. Why I moved to California, part 1. KK: What’s your top advice for your fellow Internet marketers? BS: Build your personal brand in a way that shows that you are unique and memorable, and kind. KK: Can you leave us with one of your favorite sayings or quotes? Have a question of your own for SMX West 2015 speaker Bill Slawski? Share it in the comments! Thanks Bill Slawski for this great Blogs post its very Knowledgeable for us. Just a note to say Bill is a stand-up guy. 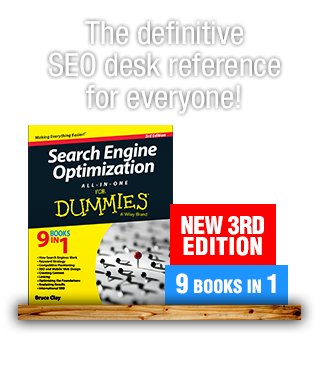 I”m not an full time SEO pro by any means but I study it. HE was very quick with an answer when asked, and his website is really a treasure. This reminded me to get back to it more frequently. I’m a wellness practitioner and so am niching myself to work with that community providing basic SEO info that they just don’t know. So I really appreciate this site and Bill’s. Awesome info bill, it will help to many webmasters, thank for your efforts to create lovely post, technically sounds good. we must have to update schema code in our site to get the benefits in search results. In all of this, the most important thing beyond rich snippets and schema.org, is what Bill said about Anchor texts, the former two, I think we knew the direction Google was headed.. but anchor texts are still being done massively these days, like no one understood where anchor texts were going. Its awfully predictable and I thank Bill for pointing that out. Good to hear that you’ve started looking at Schema.org markup a little more now. Google seems to be paying a lot of attention to it, and a lot of search results seem to be including information in them from Google’s knowledge panel. I’m taking that as a sign that we will see more, rather than less influence based upon semantic markup in our future. Schema is something we’re only just now starting to pay attention to at our agency. So I appreciate the technology angle Bill takes in ranking sites. It’s a totally different mindset to say the least. You’re welcome. There’s no denying that Google is playing more attention to sources like knowledge graphs, and will be presenting us with information from there in places like knowledge panels and direct answers and oneboxes/anserboxes even more frequently in the future. In addition to giving searchers a more interesting search experience, the quality of answers have the possibility of being richer and higher quality as well. Structured data and the use of Schema, unfortunately, isn’t as widely adopted as if could be. But as you noted, I’m a big fan of it as well. I’m glad to hear that you picked up on a couple of points from this interview that you’ve found helpful. Right..!! Thanks for giving your opinion Bill Slawski. For a SEO this is a huge thinking. Google must have to work like this way as you are saying. Kristi Kellogg, first of all thanks for composing this post of Bill Slawski, one of my all time favorite blogger and author. I am a huge fan of structured data and used Schema rich snippets on many of my projects and sites. I strongly believe that semantic search is going to be the future. But till date I was limited in using certain schemas like reviews, ratings, authorship, NAP and some time events and I always got very good results from these, better CTR is an obvious outcome of using certain schemas. But I know Schema is an ocean of items and I will gradually explore things as and when I gate opportunities. I have noted couple of tips from this post which I will be implementing on my own site to test how they impact on my niche and market. Thanks Bill Slawski Sir, for educating us, all the time with all your blog posts and writings.